January 11th, 2015 will always be a memorial day in the Calendar of the Cherubim and Seraphim movement worldwide. It was a Sabbath Sunday, Ironically a day that God commanded us to take a day of rest. At the tender age of 78 years Special Apostle Prophet (Dr) Gabriel Olubunmi Fakeye, General Leader of the Cherubim and Seraphim Movement Church (Surulere), Lagos Nigeria was taken to rest in the bosom of our Creator JEHOVAH. 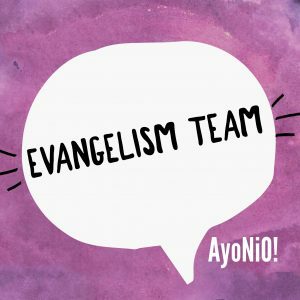 Prophet Fakeye was a professional Engineer, a devoted prophet of God, tele evangelist, a visionary leader with profound knowledge, insight and grasp of the Bible. 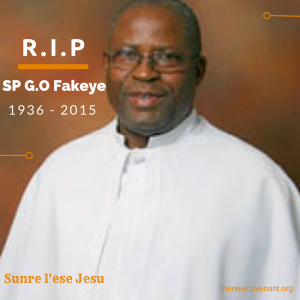 Baba Fakeye was a ‘God’s general’ with a passion for God’s Kingdom, he had an immense conviction and faith in the unity and greatness of the body of Christ as a whole and propagated the oneness of the Cherubim and Seraphim Organization in Nigeria and across the Globe. Under Prophet Fakeye’s leadership the Cherubim and Seraphim Movement Church (Surulere) Lagos, Nigeria branch became a flagship for all other C&S Churches worldwide, with a congregation of over 20,000 and diversities of culture, it showed the possibility of advancing the ‘white garment’ Church and propelling it with new vibrancy by making it more attractive to a new younger generation without loosing its doctrinal core values of Saint Moses Orimolade(C&S Church founder). On entrance to the ‘Church City’, you will certainly feel the aura of entering a Holy City filled with ‘saints all in white robes’. The youth Church alone on a Sunday service congregates over 5,000 people!. As well as the Yoruba Church there is also the English Church making it more attractive to the multinational Culture of today. An ordinary shout of ‘Halleluyah’ echoes on an on like a pebble thrown into a pond with ripple effects, it is truly a spellbinding experience to witness. 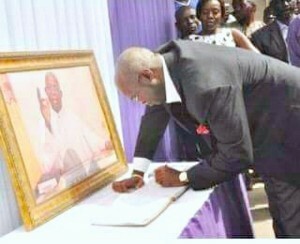 His firm belief in holiness, discipline and stewardship helped shape the Church to become a major player in the C&S movement worldwide, which is today under the Spiritual leadership of our Spiritual father Baba Abidoye the general overseer C&S movement worldwide with its headquarters in Kaduna, Nigeria. Baba Fakeye’s radio broadcast ‘Orin Iyin’ delivered in Yoruba every Sunday on Radio Lagos 107.5FM, was a hit among listeners. He presented the gospel of Jesus in a more vivacious and buoyant manner, his wisdom to unravel and enlighten the mind brought more non christians to seek him out. This great general of God will be greatly missed in the Body of Christ and more than words can say in the C&S movememnt worldwide. Many around the world have poured out their heartfelt feelings to the loss of this great man of God. Rest in peace Baba Fakeye, may the Lord strengthen and comfort the family and Church left behind In Jesus name (amen). Baba Fakeye you are an hero you have done well a job well done. A motivator that have impacted many lives. Rest your soul in perfect peace good night baba wa. Blessed be unto the lord for the good life and legacy of baba fakeye .sleep in peace baba ,your teaching every sunday called orin iyin makes me fall in love with c/s movement. May God bless and be with the family you left behind. The heavens are glad at your arrival dad even till death you worshipped God. May your soul rest in the bossom of Christ Jesus. OBIWORM Ministry Nigeria…..!